Vai Sikahema, is the sports director/anchor for NBC 10 News at 4, 5, 6 and 11pm, joined WCAU in Philadelphia, April 1994. Previously, he was the station’s sports reporter and weekend sports anchor. His accomplished career in the NFL, as well as his strong and solid background in television, made him an easy choice to be part of NBC 10’s sports department. 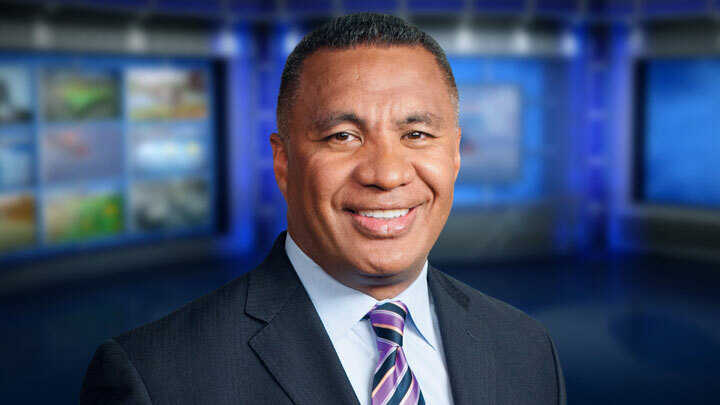 Additionally, Sikahema is the weeknight sports director/anchor for myphl17 News at ten powered by NBC 10. Sikahema is also the host of “Wednesday’s Child,” a segment sponsored by the National Adoption Center, Freddie Mac Foundation and NBC 10 to promote the adoption of children. Known by many for his in-depth sports reports, Sikahema has also covered both the 2006 Winter Olympics in Torino, Italy, and the 2004 Olympics in Athens, Greece, and the prestigious horse races that featured locally owned and favored to win Smarty Jones and Barbaro.Sikahema retired from the Philadelphia Eagles in 1994. He joined the team in 1992 after completing the ’91 season with the Green Bay Packers. Ranked first among the NFL’s all-time career leaders in number of punt returns and second in punt return yardage, Sikahema is also a two-time All-Pro. In 1986, while playing for the Phoenix Cardinals, he began his television career at KSAZ-TV. For the next four years, Sikahema reported and often shared the anchor desk. In 1991, he signed with the Green Bay Packers, and as his success on the field continued, he carved a niche for himself as a sports reporter for WFRV-TV in Green Bay, Wisconsin.